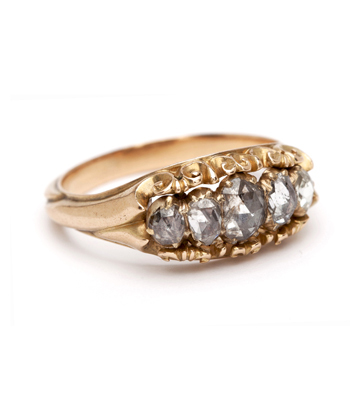 Quite possibly the perfect antique stacking band! 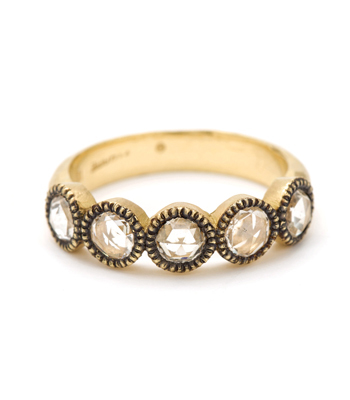 This half hoop style Georgian ring, c. 1860, is set with five graduated old mine cut diamonds, approx 1.50ctw, set in open-backed, blackened silver collets on an 18K yellow gold band. 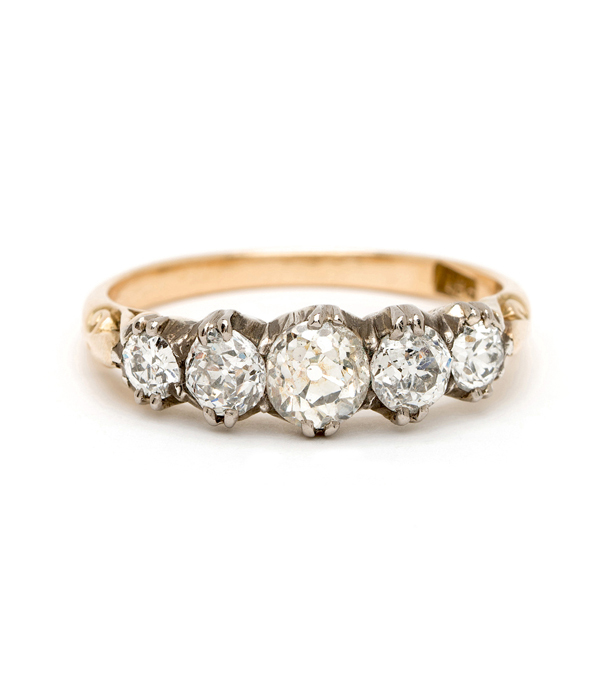 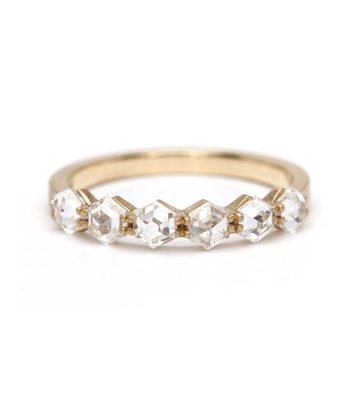 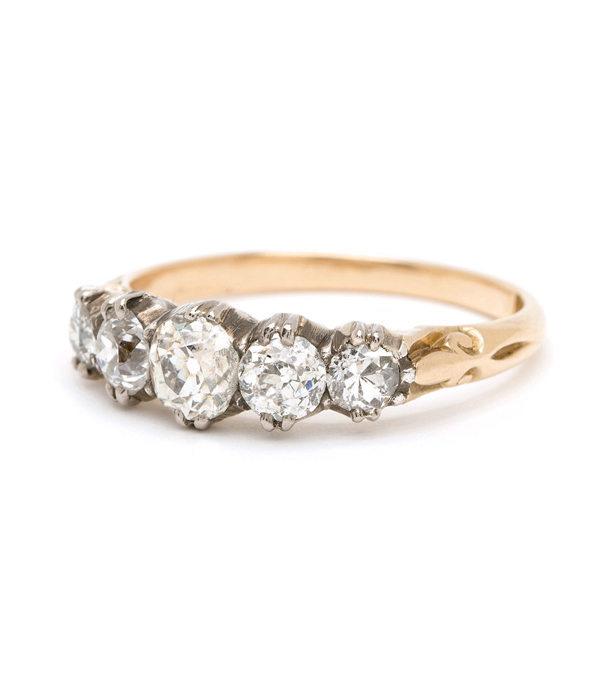 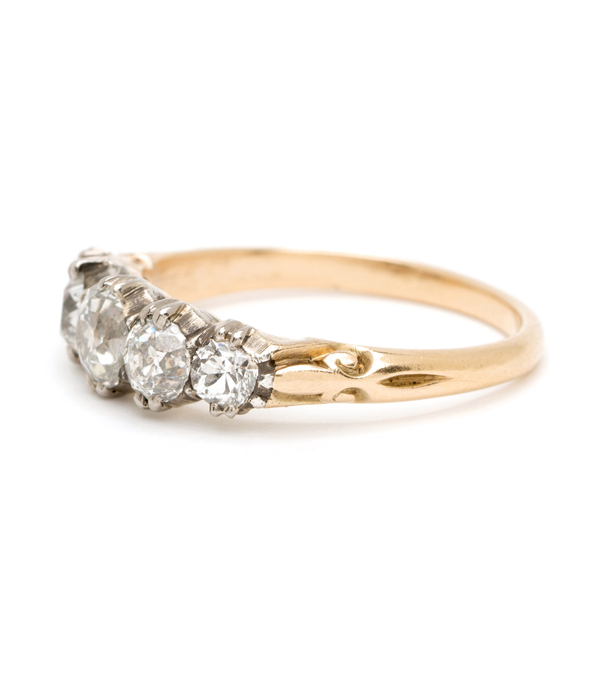 Stunning on its own or as the sparkling centerpiece of any stacked set, this antique ring would make an ideal wedding band for a vintage loving bride.